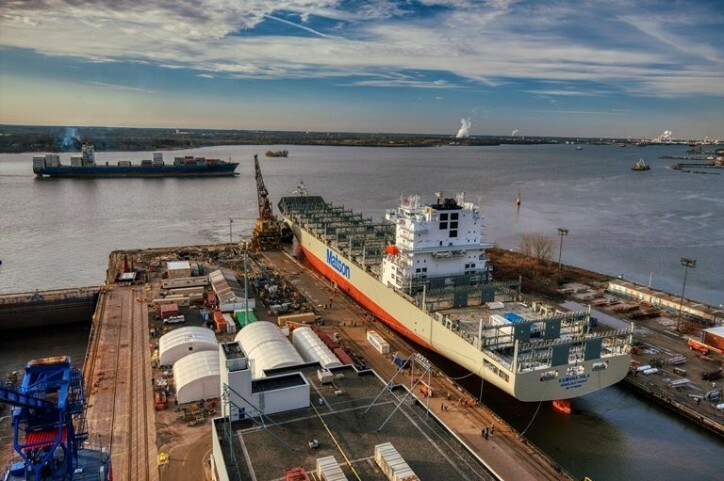 Philly Shipyard, Inc. (PSI), the sole operating subsidiary of Philly Shipyard ASA (Oslo: PHLY), delivered ‘Kaimana Hila’ to Matson Navigation Company, Inc. (Matson) yesterday. ‘Kaimana Hila’ is the second of two 3,600 TEU “Aloha Class” containerships that were ordered by Matson. The first vessel, ‘Daniel K. Inouye,’ was delivered by PSI in October 2018 and is currently in service for Matson.